One of my favorite pasta dishes is something I like to call my “Summer Time Pasta.” It is light, fresh, colorful, and most of all, delicious! Another great part of this dish is you really can add anything you want. I usually include cherry tomatoes, fresh mozzarella, and something green, depending on what I have in my refrigerator. This time I added peas, but I usually prefer zucchini. Boil your pasta water (don’t forget to add the salt). Slice the cherry tomatoes and mozzarella. Add salt and pepper and then top with olive oil. Mix together and then add basil. I used the steam fresh bag of peas the other night, but if you are using zucchini, chop that first and lightly saute in olive oil until cooked, and then set aside. 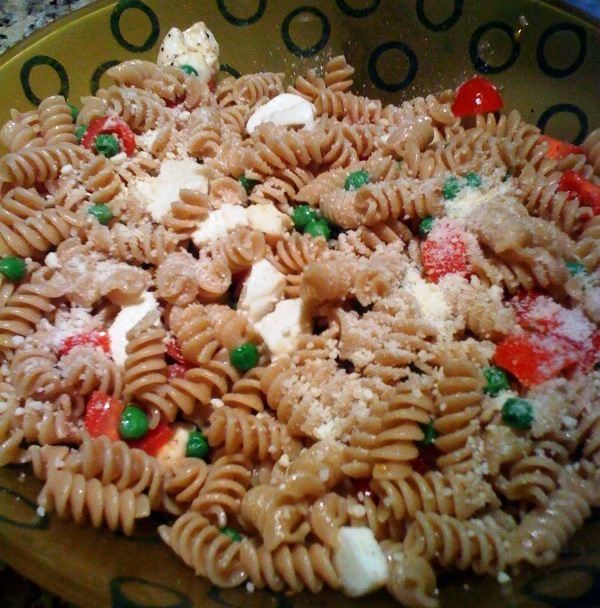 I also used whole wheat rotini last night, but this works well with penne too. Once the pasta is cooked and drained (never rinse) mix in the tomatoes, mozzarella and zucchini (or other veggie) and lightly season with salt, pepper, and parmesan. If needed, add more olive oil. The best part about this dish is you really can add in anything you want and it turns out so incredibly satisfying! 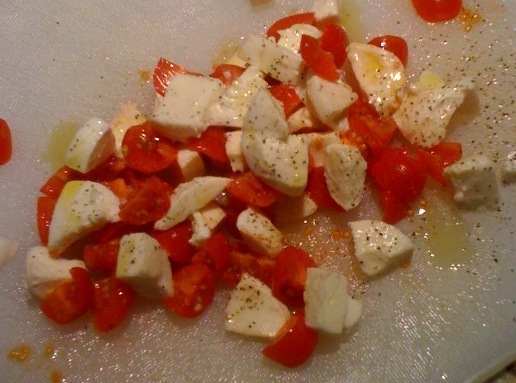 Cut up your tomatoes and mix with mozzarella, olive oil and salt & pepper and set aside. Boil your pasta water, add pasta and cook. While cooking make your zucchini, peas, or any other vegetables you wish to include. Once pasta is cooked, drain (DO NOT RINSE), mix with all ingredients, season with more salt & pepper if needed, add parmesan cheese and serve! I celebrated my 24th birthday on Tuesday. I still don’t feel old though, which I am guessing is a good thing. For some reason, I can’t wrap my head around the fact that I am technically an “adult.” Anyway, my friends and I celebrated by going to the Cubs game! We were lucky enough to come across 2nd row seats and it was a perfect night for baseball and beer! 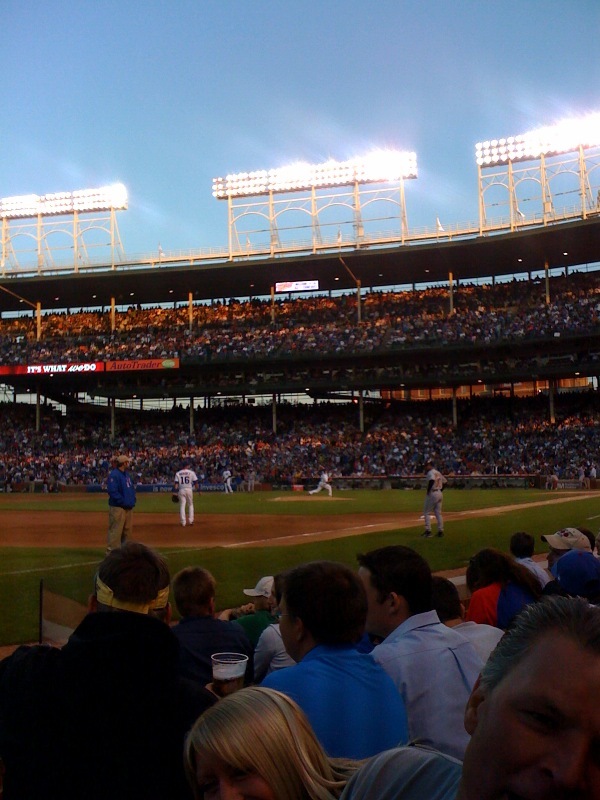 Cubs vs. Pirates – Cubs win! They also surprised with me with yummy cupcakes from Swirlz and Sweet Mandy B’s, a beautiful necklace I have been wanting, and beer! I am pretty sure all of those things create an amazing birthday! I felt so fortunate to be able to spend my birthday with some of my favorite people, especially since I was away from my family! Thank you girls for the best birthday! 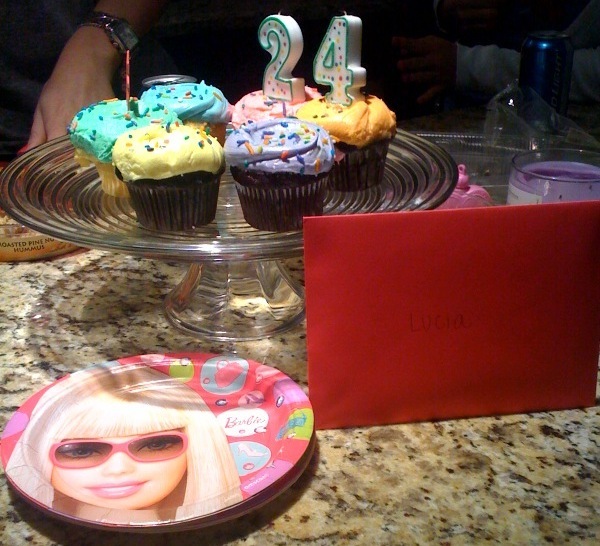 Oh…and did I mention Alyssa hit the spot with Barbie plates and a Barbie happy birthday sign? Yes, I do love Barbie’s! I hope everyone has a wonderful 4th of July weekend! I am sure there will be many cooking adventures to come after this long weekend, which hopefully will be filled with lots of good food and fun, so stay tuned! Are You There Vodka? It’s Me, Lucia! Looks like you ended up having a really nice birthday! Those cupcakes look delicious.